My ready made rash guard 'Demons Gate' another custom artwork for us mat rats. Demon's Gate artwork is influenced by a films like 'Jacobs ladder' (Cult psychological horror-thriller starring Tim Robbins) Angel Heart, the Cube, Video Drome etc. This rash guard really shows the darker side of grappling, the monsters that we grapple with, the demons at the door. 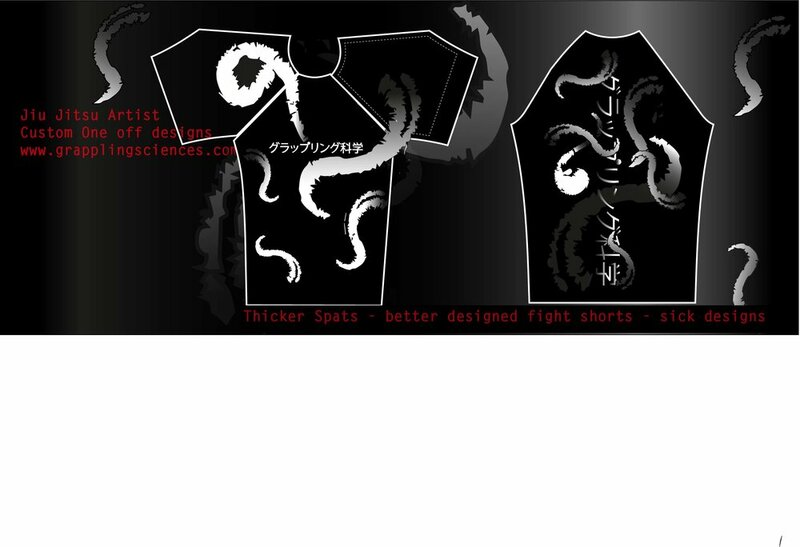 I give you the Demons Gate rash guard. Japanese 'Grappling Science' Kanji across the front chest. Compression fit to keep the Demon locked inside. Thicker rash guards, better designs, longer lasting, years of experience.. that's Grappling Science. One of the best places for custom Uk Rash guards who offer WORLDWIDE SHIPPING.